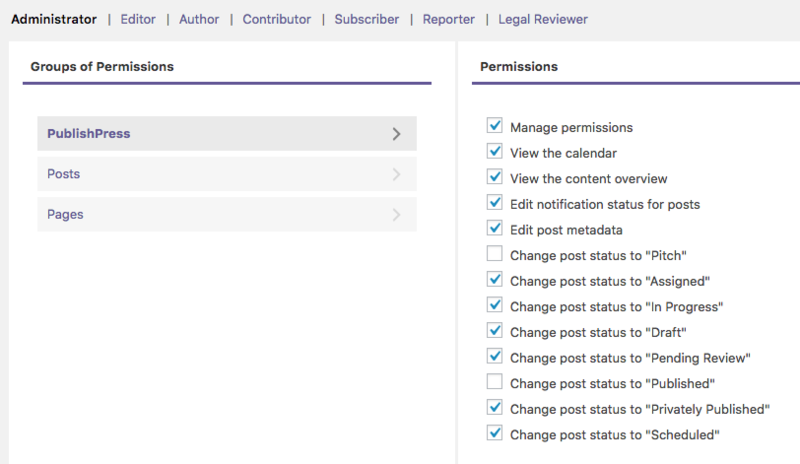 The Permissons add-on allows you to customize permissions for publishing content and interacting with PublishPress. Some teams need a “Copy Edit” status for users in the”Copy Editor” group. Some teams want a “Needs Legal Approval” status for users in a “Legal” group. Some teams require a “Creative Approval” status so their branding experts can sign off on the post. The PublishPress Permissions add-on is the solution to those problems. This add-on allows you to decide your users publishing capabilities. 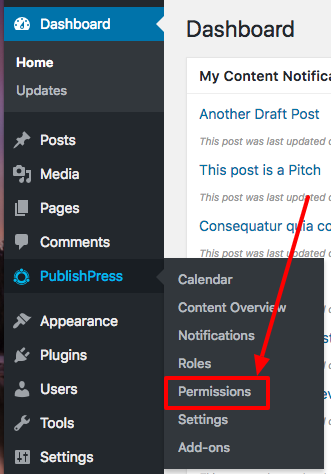 PublishPress Permissions also exposes default WordPress permissions related to publishing. You will find these under the “Posts” and “Pages” tabs.